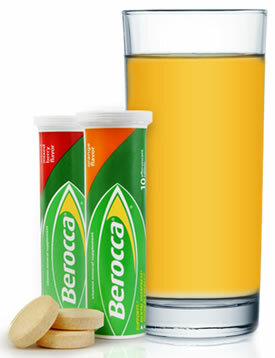 Berocca is an effervescent tablet that is added to water or juice. 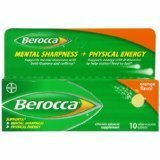 The original version of Berocca did not contain caffeine, but only high concentrations of vitamin and minerals. 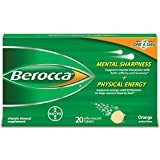 This version is still available in other countries and they have a caffeinated version of Bercocca is called Berocca Boost, however, Boost has less caffeine than what's listed above. Berocca has recently started a large scale marketing campaign advertising their caffeinated version in the USA. 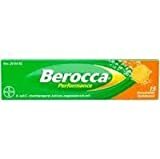 Berocca isn't suitable for children or those sensitive to caffeine. 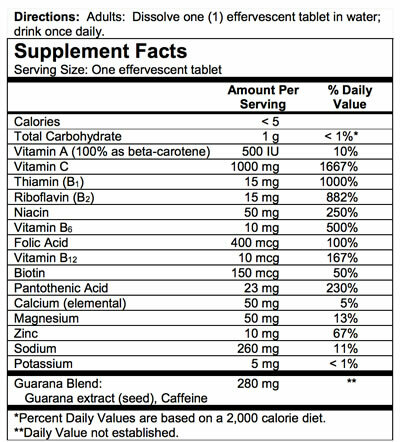 Berocca contains 11.25 mgs of caffeine per fluid ounce (38.04mg/100 ml).